A garden that will be part of the Stroll on June 7. 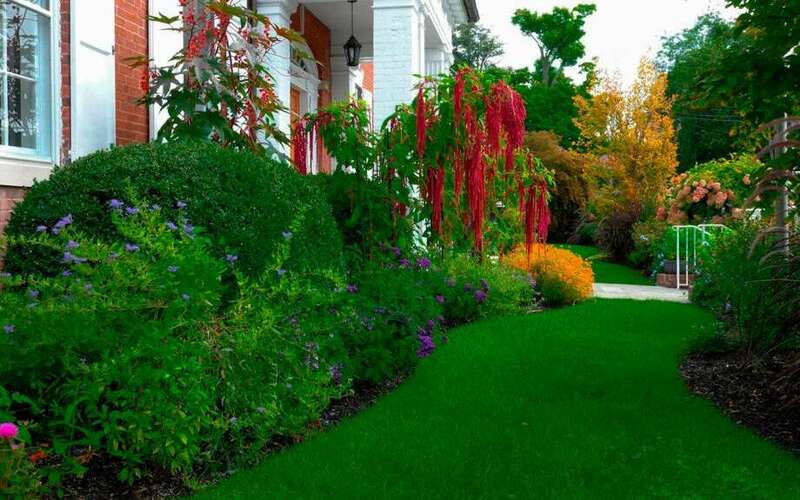 SOUTHPORT - You’ve undoubtedly seen and admired the beautiful front yards sprinkled throughout Southport. Now is your chance to get a sneak peek at the beautiful backyards. Put on your walking shoes and head to Pequot Library on Friday, June 7 for the Southport Garden Stroll from 10 a.m. to 3 p.m. The self-paced tour features more than 10 of Southport’s most picturesque gardens, including ones featured in Town & Country, Fairfield Living, and Fairfield Magazine. Some have been recognized by the Archives of American Gardens at the Smithsonian Institution. Your day begins on Pequot’s Great Lawn, where you’ll check in and obtain your garden card and map, which will reveal the secret locations. You are welcome to visit the gardens in any order. Wander through private, manicured gardens in an idyllic New England neighborhood on the harbor. This is a rare opportunity to get an up-close, behind-the-gates look at stylish creations. See — and smell — botanical magnificence. Whether you’ve got a green thumb or you’re just getting started, these private paradises will provide you with ideas for your own garden. Volunteers at each location will guide you through the most notable features of these diverse, elegant landscapes. These local garden enthusiasts can answer questions about plants, design style, and more. Explore hidden Southport, work up an appetite, and then grab a bite in or near the Five Corners in the heart of this quaint, coastal village. The Southport Garden Stroll takes place rain or shine. Tickets, which are $25, are available online only. Register at pequotlibrary.org soon, because prices will be going up. If you have any questions, please contact Caroline Crawford 203-259-0346 ext 113, crawford@pequotlibrary.org.